Wrap-around thumb splint with removable spiral and aluminum stays. Relieve aggravating thumb pain that's associated with thumb tendonitis, arthritis or thumb instabilities. The DonJoy Advantage Stabilizing Thumb Splint is perfect to help reduce thumb pain without constricting finger and hand movement so you can still participate in everyday activities. Made with neoprene material for heat retention and comfort, the Stabilizing Thumb Splint features removable stays and a thumb strap for compression and adjustable support. The DonJoy Advantage Stabilizing Thumb Splint is a lightweight, low-profile thumb brace to help ease pain associated with thumb tendonitis, arthritis or instability. 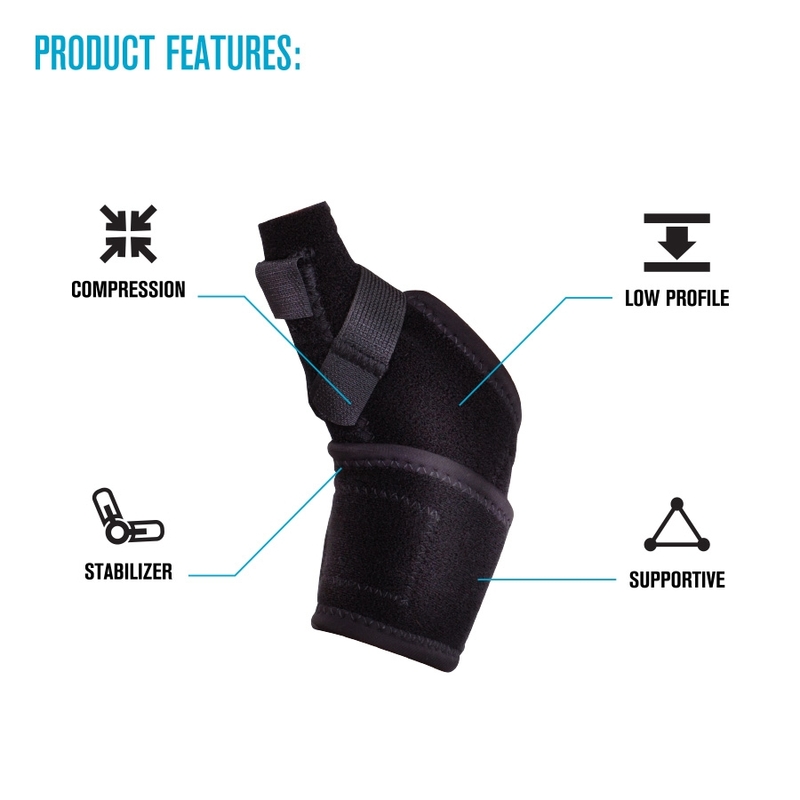 Constructed with neoprene, this thumb brace provides warmth and compression to the hand and wrist. The aluminum and spiral stays are removable, allowing you to customize the level of support you need. 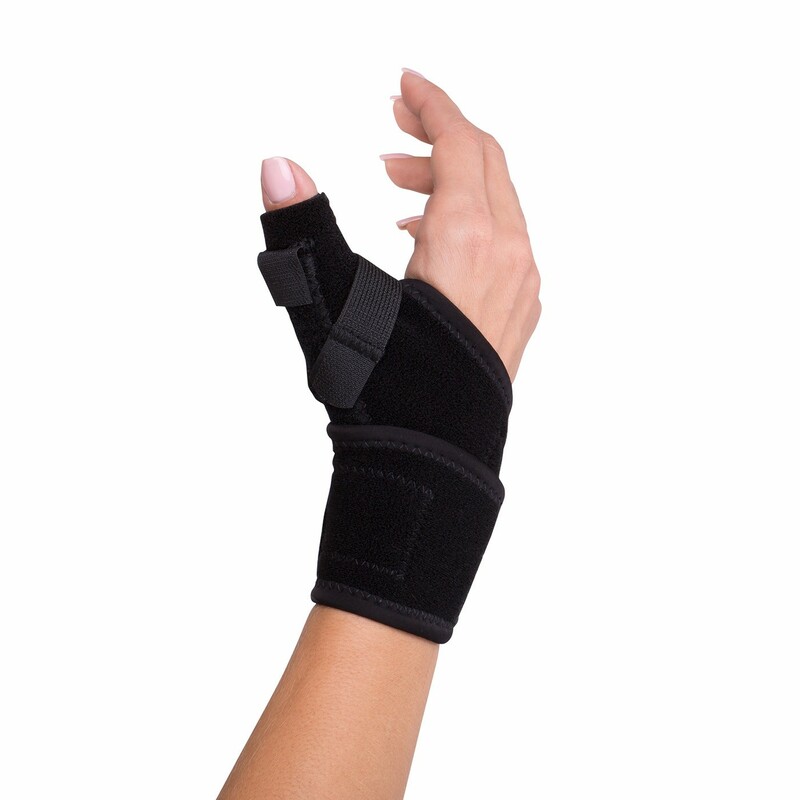 Designed as a wrap-around brace, the Stabilizing Thumb Splint is easy to take on and off. Open the thumb splint up and place your thumb into opening. Wrap the brace around your wrist and secure. Wrap optional strap around thumb as needed for additional stabilization. Adjust as needed. One size fits most. Size is based on the circumference of your wrist; measure around your wrist. Instructions Wrap the brace around your wrist and thumb, securing the bottom and top straps. Adjust as needed.